Gio Rana's Really Really Nice Restaurant would be very hard to find if you were searching onlyby name. The restaurant is not marked on the outside but for a very large three dimensional nose hanging over the entrance leading into this eclectic find being dubbed the 'nose' by many. The decor has a thrift-store-chic feeling; all of the chairs are mismatched as are the plates. It's best to go here with a group of people so that you can share lots of the small bite plates. We began with the FRITTO MISTO: Lightly fried calamari and shrimp with a tangy tomato sauce. With a splash of lemon, the dish was perfect. The delicate batter added a nice crisp texture, but did not overwhelm the natural flavour of the seafood. We had high expectations for the DRY-PACKED SCALLOPS AND PORK BELLY. The scallops were nicely seared with a soft tender texture. The pork belly was salty, which contrasted nicely with the sweet maple sauce. THE BEEF TENDERLOIN CARPACCIO was served with a crisp green bean salad and parmesan cheese. The carpaccio melted in your mouth it was so soft. It needed a little squeeze of lemon to add some acidity, but if you like carpaccio you will love this. SCOTTY'S MEATBALL, is one giant, slow-cooked meatball smothered in a rich tomato sauce. The meatball was juicy, well seasoned and soft. The large chunks of parmesan cheese added a nice saltiness to the dish. It is a great plate to share with a few people. You can't order a huge meatball and not have any pasta to go with it. 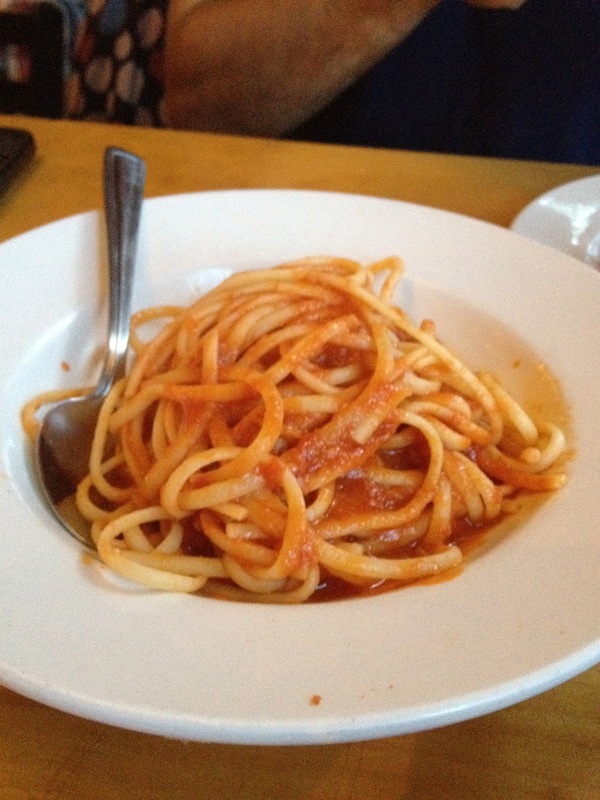 We went with a simple LINGUINI in a garlic-tomato sauce. The pasta was al dente with clean flavours. It was a nice side to accompany our other dishes. Finally, the BEEF TENDERLOIN. It was tender, well-seasoned and perfectly cooked medium-rare. It was like butter melting in our mouths. 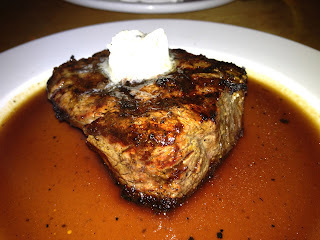 We would highly recommend all steak lovers give it a try; it rivals many steakhouses in Toronto. Would we go back? YES! Where the Locals Go is a Toronto foodies journal. Toronto is a city full of exciting food and restaurants. This blog will keep you up to date with all my amazing and not so amazing culinary adventures! !